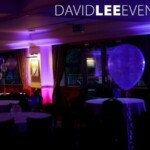 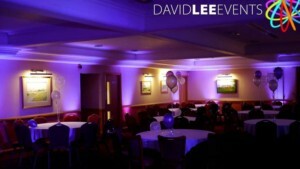 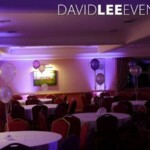 Dukinfield Golf club wedding & event venue – why not enhance the room with uplighting. 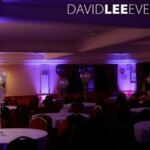 Uplighting is an easy & cost effect way way to really make your guests go WoW when they walk into a room. 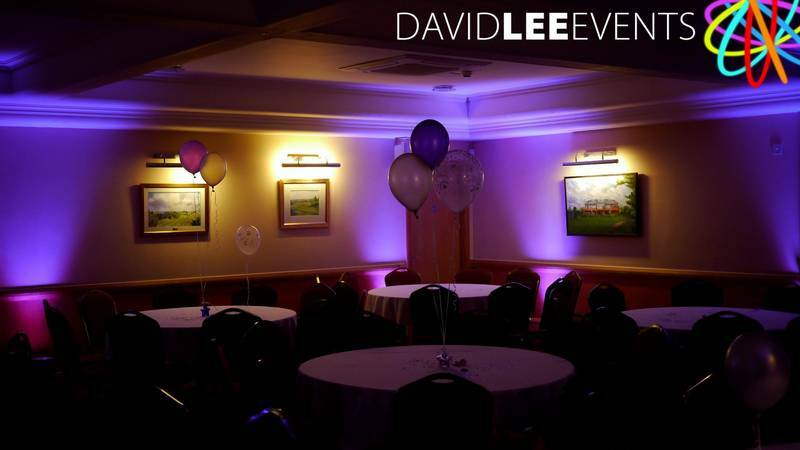 Colour matching to your chosen theme, plus it works well with if you decide to add fairy or festoon lighting. 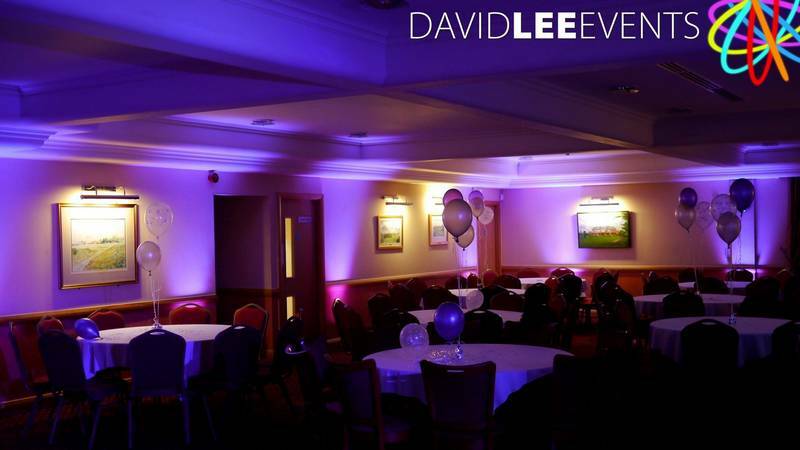 I cover all of Tameside with my uplighting, and it usually is installed for weddings in the morning and can be left on all day to give a polite hint of colour during the day. 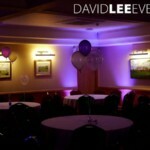 This is great with the curtains open and the function room lights on. 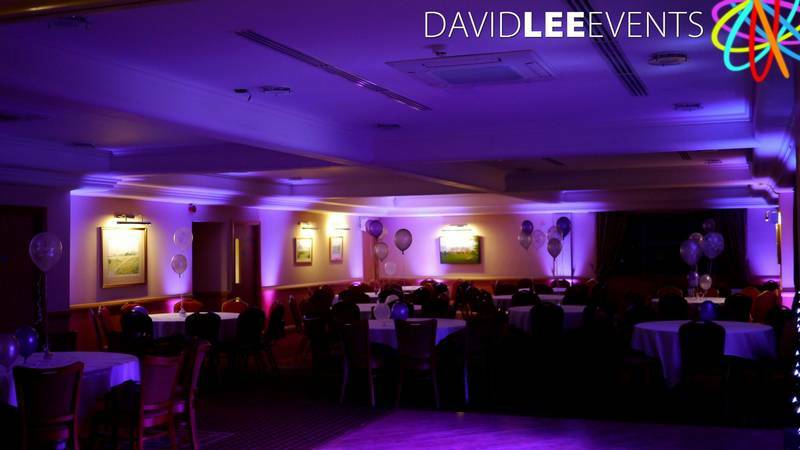 Then when the curtains get shut and the main lights gets dimmed, they really make the room pop and transform it in to something more spectacular. 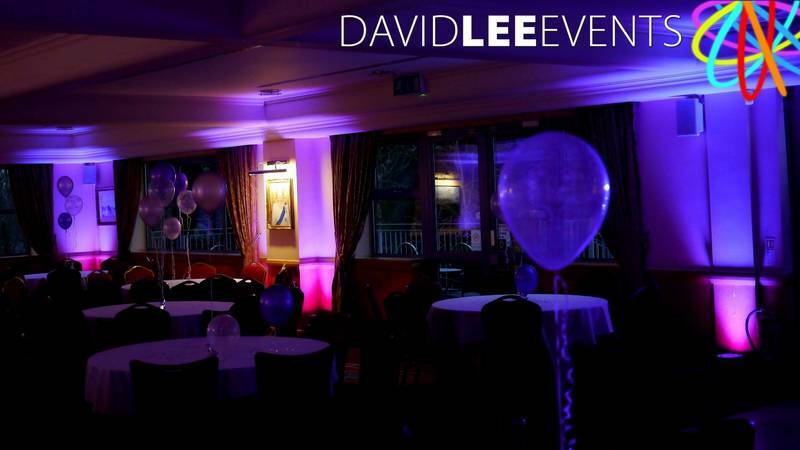 If you are having just an evening event, then the 1st moment your guests walk into the room, they are greeted with a a wash colour enveloping them in the mood and atmosphere of the night straight away. 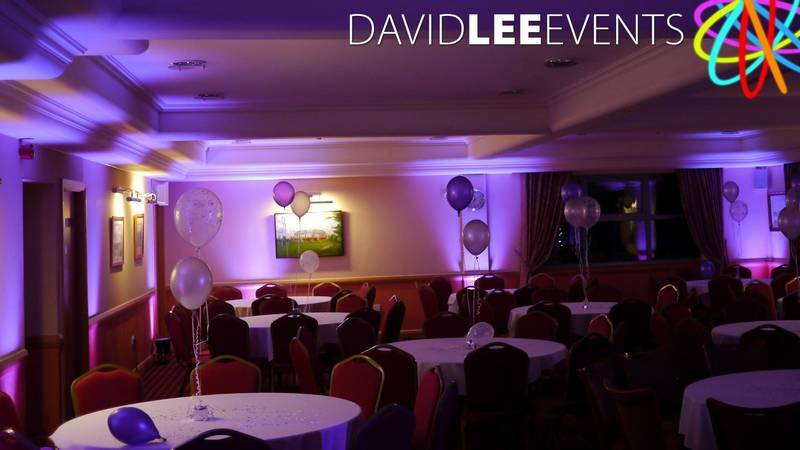 If you are having a wedding or event here at Dukinfield Golf club or anywhere else in Tameside, please do get in touch so I can help and advise on how we can work together to give you the look you desire. 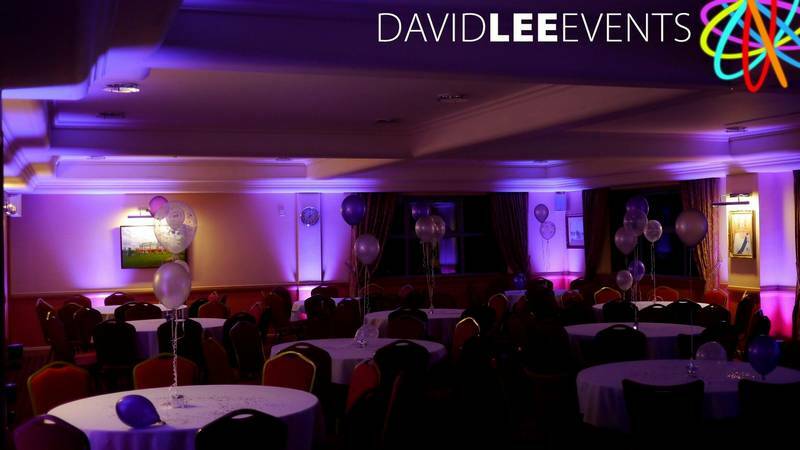 With uplighting, festoon lighting, and fairy lights as well as flame flights and red carpets I can really make your wedding or event look fantastic.